ORLANDO, Fla. - News 6 has compiled a list of sand bag locations across Central Florida. Be sure to contact each location to determine if sand bags are still available. The City of Palm Coast has a sandbag station open in the Public Works yard at U.S. 1 and Wellfield Grade (just north of the FDOT weighstation) in Palm Coast. Residents must bring their own shovels, and are allowed to take 20 bags of sand per household. Hours for pickup are 8 a.m. - 8 p.m. until further notice. 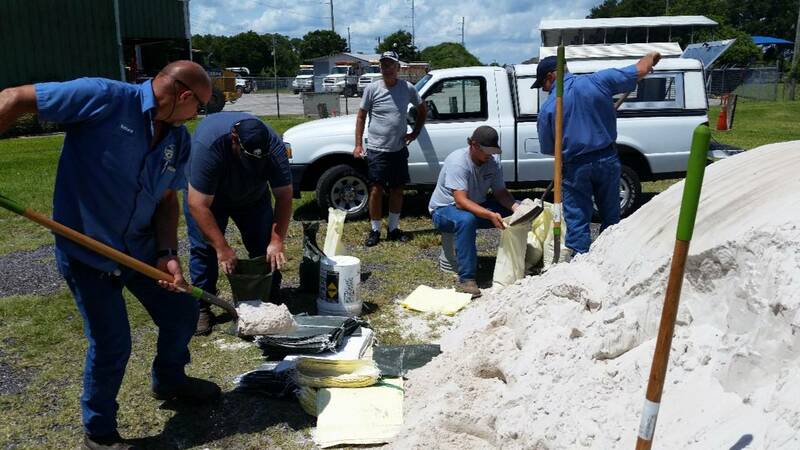 Sandbags are available at the Brevard County Sheriff’s Farm, 2955 W. Pluckebaum Road, in Cocoa. There’s a limit of 10 bags per vehicle, but a crew is on hand to fill and load. The City of Deltona has sandbags available at Festival Park, 191 Howland Blvd. City staff will provide 10 filled bags per resident; another 10 empty bags will be available for residents to fill. Residents who want to fill their own should bring a shovel. Four locations throughout the City have sand piles staged for residents to access. Sandbags are not provided. Residents must provide their own bags. Bags may be purchased at local home supply centers or double bagged; heavy duty garbage bags may be used. Residents should also bring their own shovels. Sandbag Operations will be open throughout the day today at 4170 N US HWY 17-92, SANFORD, FL 32773, next door to Seminole County’s Fire Station 35. During emergency operations, empty sandbags are available to all residents of Seminole County. Each resident will receive up to 30 bags. Sand or dirt will be provided for citizens to fill these bags. Please bring shovels with you as there are limited supply. All locations are now closed.